Direct hop from Seattle to San Luis Obispo opens door for quick visits to Paso Robles wineries — less expensive and less crowded than Napa or Sonoma. “Ding” went my inbox one April morning with the bulletin that Alaska Airlines was starting direct flights from Seattle to San Luis Obispo, California. I was intrigued. A short getaway. 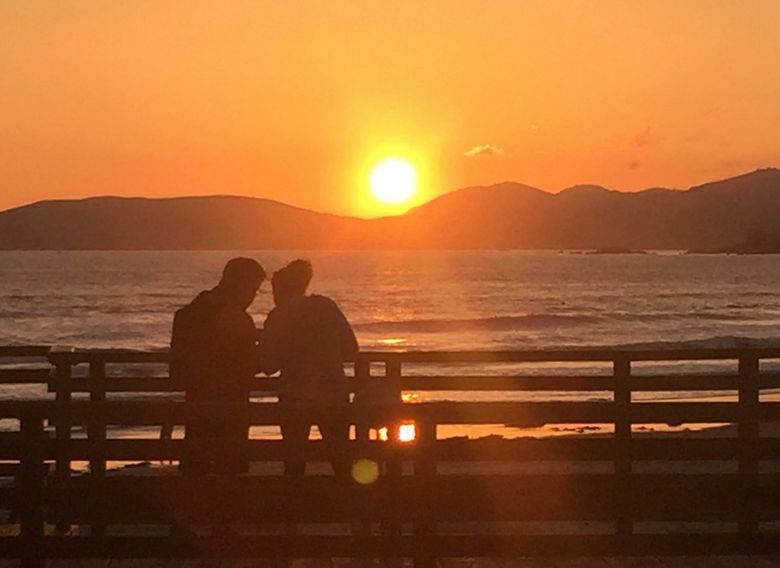 A new adventure … and … what’s there to do in San Luis Obispo again? For one thing, it’s the gateway to a wine region — one I know more for what it isn’t than for what it is. 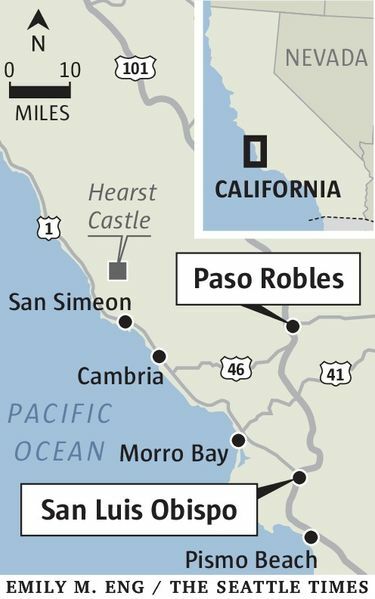 Paso Robles, California, is on Highway 101, 2½ hours south of San Jose. Alaska Airlines recently started direct flights from Seattle to San Luis Obispo County Regional Airport, a 35-minute drive from Paso Robles. Alaska officially tags the flight as about 2 hours 35 minutes, but in our experience the flight took about two hours each way. San Luis Obispo is a few miles inland from the Central Coast. Nearby shores don’t have bikini-peacock sunbathers and the So-Cal-kinda vibe but wind and kite surfers. Paso Robles is the area’s epicenter for food and wine. Paso Robles is where I wanted to be. I came as a matter of convenience and the novelty of it. I left enjoying it as much as Napa or Sonoma. Cheaper. Less crowded. More intimate. You can’t beat that short flight. I hopped on an 8 a.m. plane, dozed off, perked up with coffee and next thing you know, I landed at San Luis Obispo County Regional Airport around 10 a.m. I can’t drive to Portland that fast in an ambulance. Vineyard Drive in west Paso Robles is as good a place as any to start, the perfect mood setter. Roads are winding, flanked by oaks and orchards of almonds and walnuts. No cell towers. The terrain dictates and makes you bend to its will. Hard to speed on this tortuous road. You can resist like I did, but eventually I just threw my cell on the passenger seat and gave up on the GPS working, took my foot off the gas pedal and enjoyed the tree-lined drive. Along the hills were weekend-warrior cyclists panting under the beating sun, as if they were charging up the “hors categorie” climb on the Tour de France. The high elevation and sun that draw cyclists have also drawn winemakers here. The long, hot days produce luscious, ripe fruits, and the cold nights — with a temperature swing of as much as 50 degrees — give grapes their acidity, the ideal convergence. The biggest surprise for me were the great values for the cabernets. I tasted bottles in the $35 range and a few around $80; they would cost about $100 in Napa for the same quality. The zinfandels, from the oldest vines in Paso, are also stellar. Winemaker Larry Turley, arguably the country’s best zin producer, gets some grapes from Paso Robles. Peachy Canyon is also excellent. Rhône-style wines, though, made this region. In 1989, Robert Haas and the famed Perrin family in France discovered Paso’s secret, that these calcareous, limestone-rich soils mimic the conditions of the Rhône Valley in southern France. They started Tablas Creek Vineyard along the western hills. Their wines got rave reviews. A flood of new wineries followed; farmers uprooted almond and walnut orchards for vineyards. Paso Robles went from 17 wineries in 1983 to about 250 now. I focused on the west side, particularly wines made from the Willow Creek and Adelaidadistricts. Those big, lush reds blew me away. 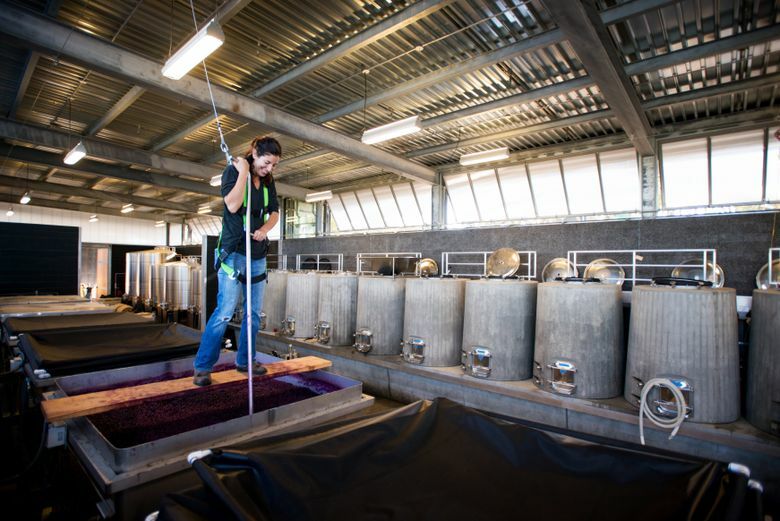 Many of the area’s best and rising winemakers use grapes from here — they come from Booker,Law Estate Wines, Linne Calodo, Epoch Estate Winesand the brightest of them all, Justin Smith of Saxum Vineyards, maker of a red blend that Wine Spectactor anointed the No. 1 wine in 2010, essentially declaring it the best in the world. There’s now a six-year waiting list for Saxum wine. Everyone is chasing to be the next Saxum. One of the biggest stars is winemaker Jordan Fiorentini of Epoch, who crafts some of the most beautiful reds I tasted on this trip, from a juicy, licorice syrah (2013 Block B) to a distinctively sweet, leathery red (2013 Authenticity). Epoch opened a new tasting room outside of town, but worth the detour. 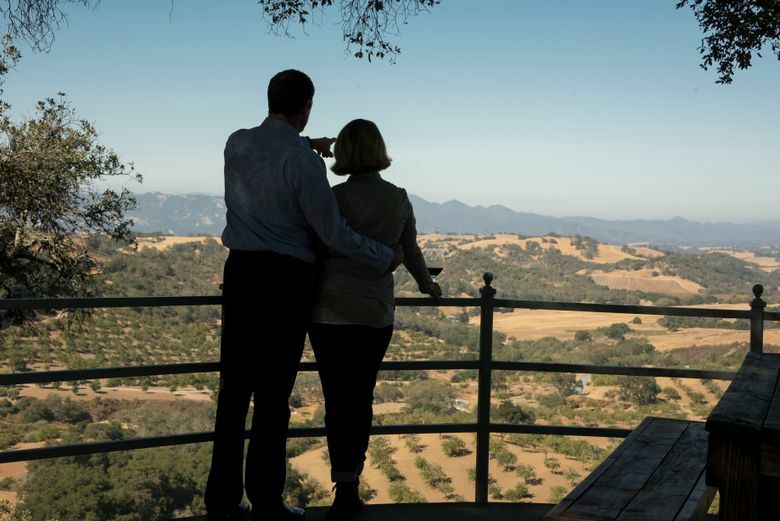 For more of the tourist experience, stick to Paso Robles, where wineries are clustered, many with grand tasting rooms and al fresco areas with firepits and benches overlooking rolling vineyards, such as at Law Estate, Adelaida Vineyards, L’Aventureand Daou Vineyards, all with Instagram-worthy views. 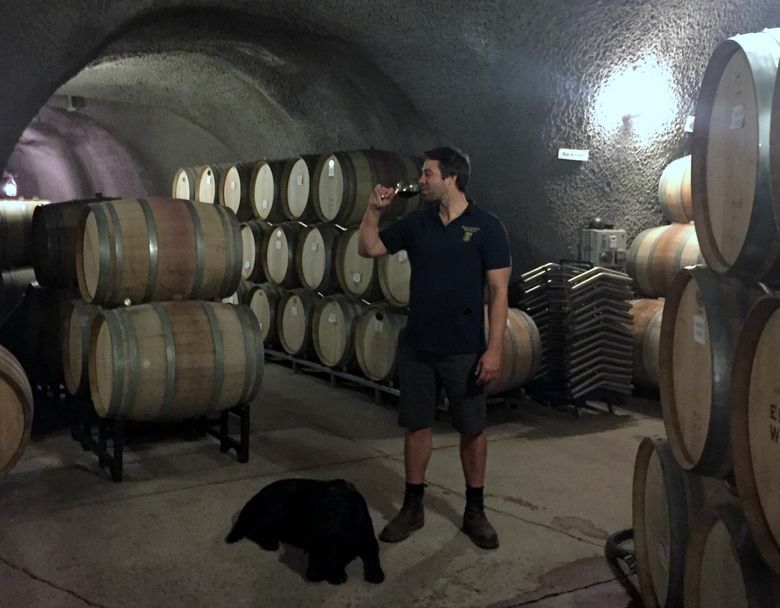 Eberle Winery is the most tourist-friendly, with free tastings, a wine-cave tour and, on weekends, live music and wood-fired pizza. In lieu of paying for pizza, Eberle requests a small donation to Paso Robles Children’s Museum. The town of Paso Robles, population 30,000, with stucco and 19th-century brick houses, reflects little of the Pacific Ocean aesthetic found to its west. A former cattle town, this is where Jesse James’ uncle was a landowner and, as legend had it, hid the outlaw when he was on the run. The hot spring is Paso’s claim to fame, believed to possess healing powers; famed pianist Ignacy Jan Paderewski swore these mystical waters cured his arthritic hands. To luxuriate in it, book a room at Paso Robles Inn, where the hot spring gets funneled into the hot tubs in some of the guest rooms. The illusory magic water has a funky, yeastlike smell. Paso is a good base if food and wine is your itinerary. Four-star hotels are about $40 cheaper than along the coast, with easy access to highways. To sweat out the Rhônes, I headed out along the Pacific Coast Highway to Morro Bay and Pismo Beach to jog along the scenic waterfronts. A change of scenery? 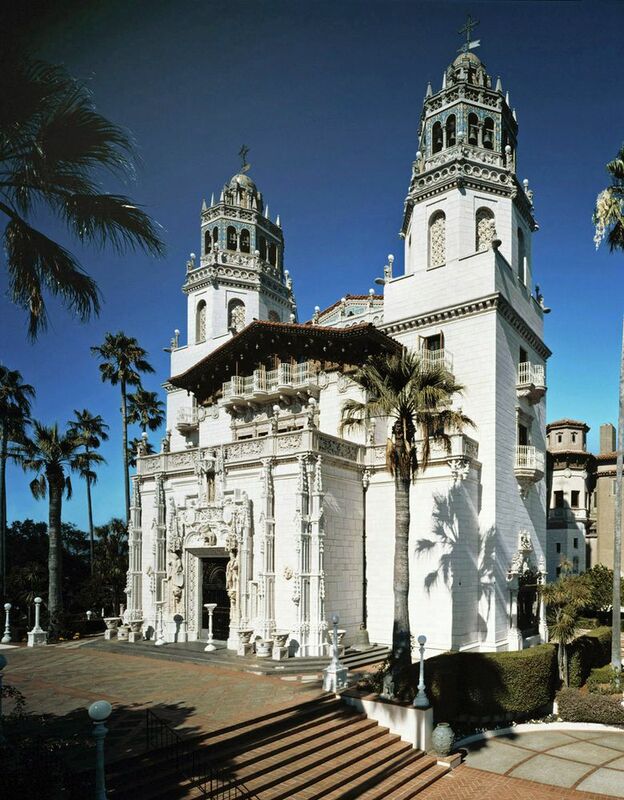 I drove 40 minutes west to San Simeon to the Hearst Castle, a preposterous, Vegas-esque world that early-20th century newspaper tycoon William Randolph Hearst concocted with medieval motifs, European art and a herd of African zebras roaming near the ocean. In Paso Robles, the trendy section is “Tin City,” a warehouse district south of downtown, where the music of AC/DC and Kendrick Lamar blast out of the tasting rooms and hot-rod prints adorn a tasting-room wall. Up-and-coming talents such as winemaker Brian Benson hole up in this industrial complex, giving this sleepy town a jolt of energy. There’s now enough cider makers to host a cider fest and enough artisanal vodka and whiskey makers to do a distillery tour. There’s beer here, too, and the storied Firestone Walker Brewing Company now has company. The former brewer of the acclaimed Green Flash Brewing Company started Silva Brewing in downtown, and Barrelhouse Brewing Co., the town’s hippest microbrew, anchors Tin City. Winemakers used to grumble Paso lacked a buzzworthy restaurant that could promote the local bounty and complement wine tourism. No more. In downtown one evening, Cris and JoAnn Cherry, owners of Villa Creek, sat near the window of their wine restaurant, facing the parking lot, and told me: “It used to be Buicks, Pontiacs and old trucks” when they opened their Mexican restaurant 19 years ago. “Now, you see Benzes and Rovers.” And their restaurant has reinvented itself as contemporary American cuisine under the helm of a new chef who came from the acclaimed Saison in San Francisco. Artisan, serving farm-to-table cuisine, was the game changer, several veteran winemakers said. Opened 11 years ago, the French-inspired restaurant brought food that’s approachable (meatballs and lamb Bolognese) to locals, but innovative enough to lure tourists — from foie gras to the umami bomb of mushroom toast. Villa Creek, Artisan and the other top-notch restaurants sit within a three-block radius of each other in downtown, from Thomas Hill Organics to the fine dining Il Cortile Ristorante. The “It” place is The Hatch Rotisserie & Bar, whose drink list looks cribbed from some East Village speakeasy, full of trendy craft cocktails complemented by a top shelf studded with Japanese whiskeys. After days of trying to squeeze in every meal, every tasting room on my list, I gave up and gave in to the town’s slow pace. All the missed wineries and distilleries can wait. For next time. It’s only a short flight away.